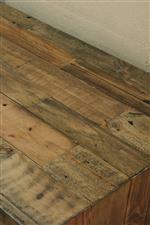 Reclaimed solid pine with loads of character provide this panel storage bed with undeniable charm. 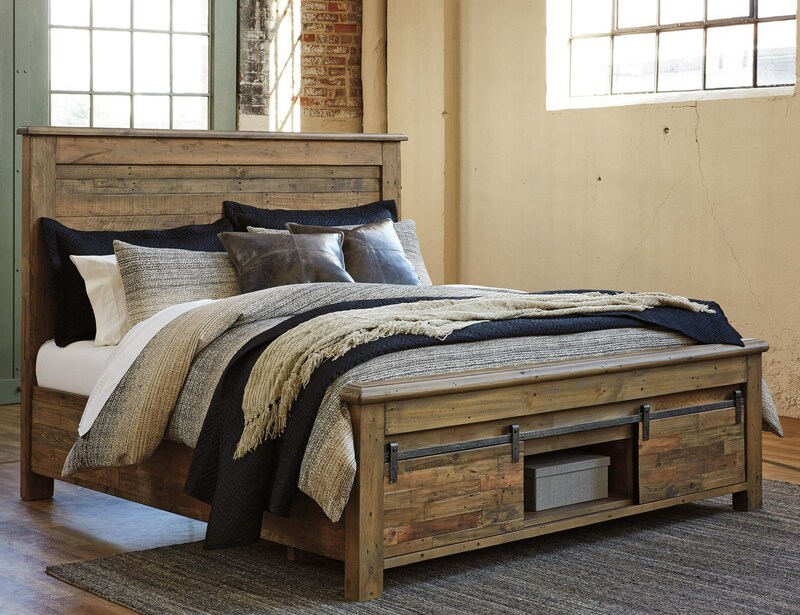 Storage in the footboard is accessed via two doors with industrial barn door style hardware, while the offset pattern of the wood planks reinforces the rustic appeal. The Sommerford Queen Panel Storage Bed with Barn Doors by Signature Design by Ashley at John V Schultz Furniture in the Erie, Meadville, Pittsburgh, Warren, Pennsylvania area. Product availability may vary. Contact us for the most current availability on this product. The Sommerford collection is a great option if you are looking for Rustic furniture in the Erie, Meadville, Pittsburgh, Warren, Pennsylvania area. Browse other items in the Sommerford collection from John V Schultz Furniture in the Erie, Meadville, Pittsburgh, Warren, Pennsylvania area.